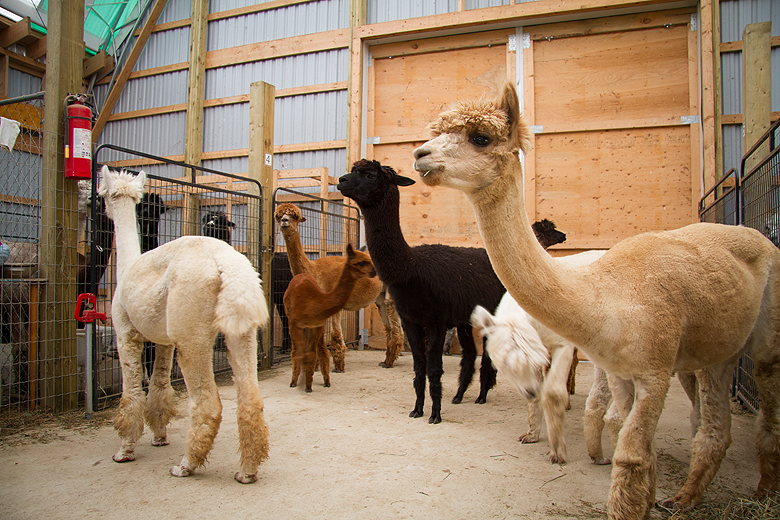 You know you’ve got amazing friends when they’re willing to tramp off in search of an alpaca farm with you :) The morning after our hike in Collingwood we all drove to the Kickin’ Back Alpaca Ranch in Markdale Ontario for some fleecy love. Carolyn and Doug, the owners, are friendly, accommodating folk who toured us through their barn and offered tons of information on the colours, breeding, and even the personalities of individual animals. 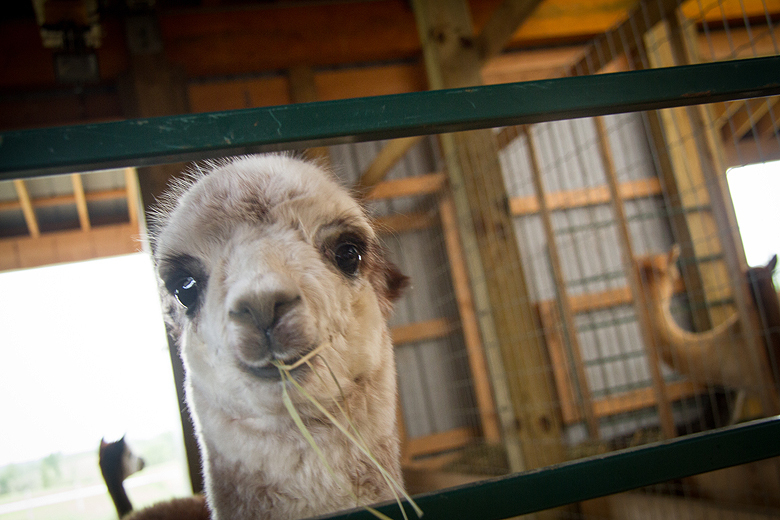 They had an alpaca, the likes of which I have never seen – a cuddly one. 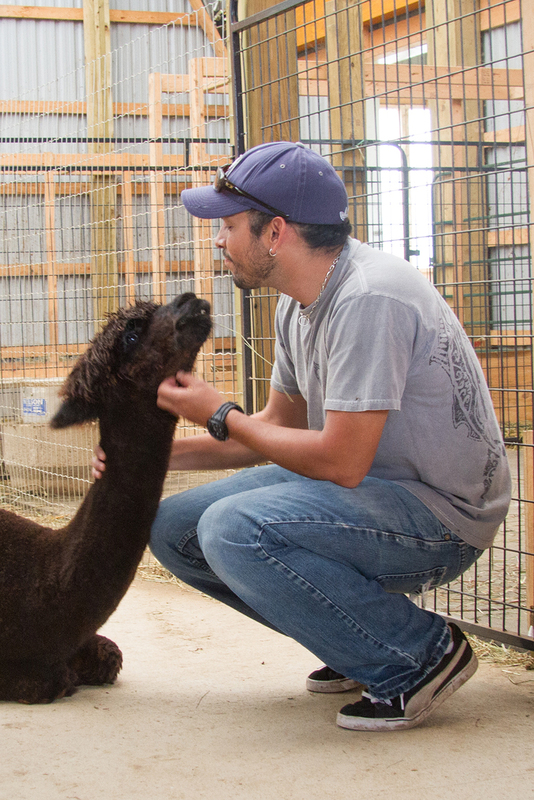 I have always wanted to cuddle with an alpaca – their sweet faces and soft fleece make them a naturally huggable animal – but they are also shy and skittish. Yazhi (don’t ask me how to pronounce it, I got it wrong every time) is so sweet and gentle that Carol and Doug have visited care homes with her as a therapy animal. Everyone was in love with her – like a cat she’d even come nudge you if you weren’t cuddling her quite enough. After meeting the animals came the hard part – trying to choose some yarn to take home. It was a tough decision…. 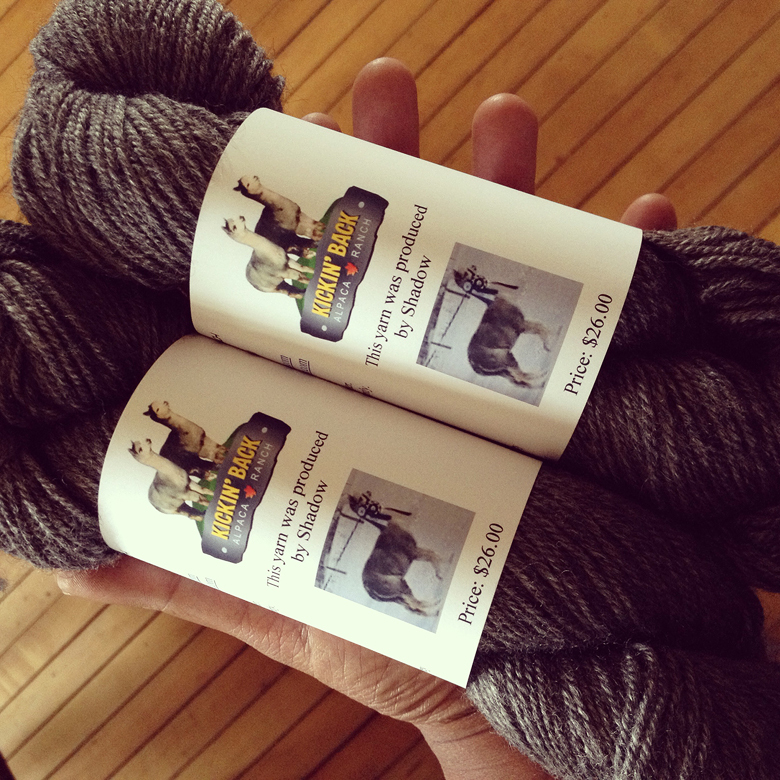 … but I settled in on 2 skeins of a gorgeous sport weight grey. Grey is a specialty of Kickin’ Back Alpaca Ranch, and it certainly shows in the yarn I bought. I’ve already got plans too (new pattern coming soon!). 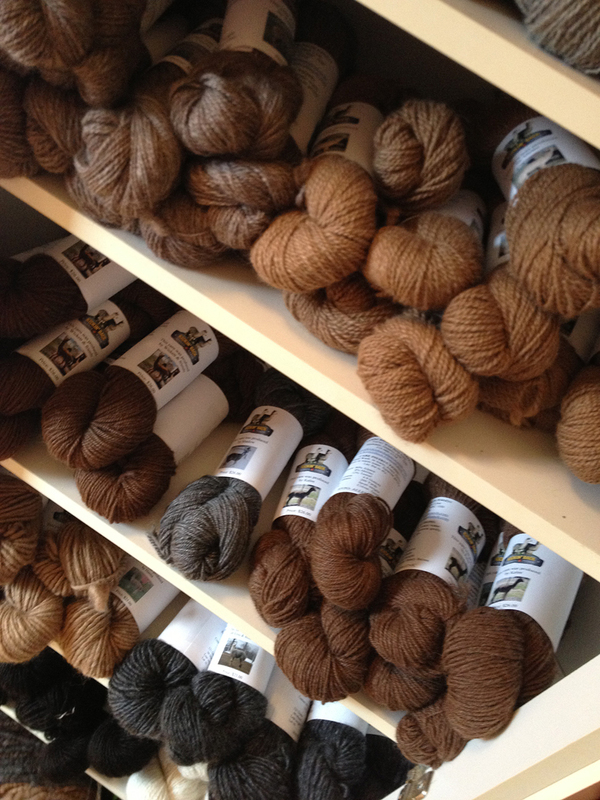 We definitely plan to go back for another visit (and more yarn!). 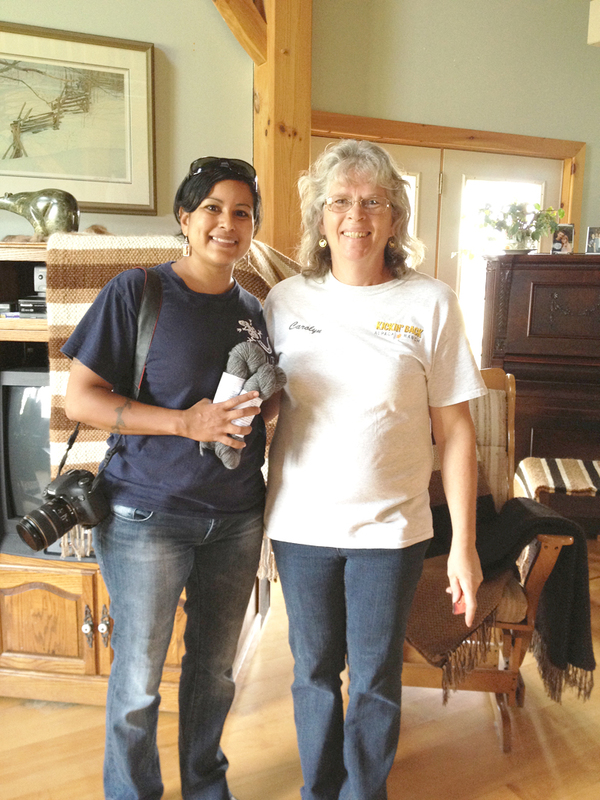 Thanks again to Carol and Doug, and also once more to our lovely BNB hostess Rosemarie – as soon as she saw me knitting she knew the ranch had to be on our list! 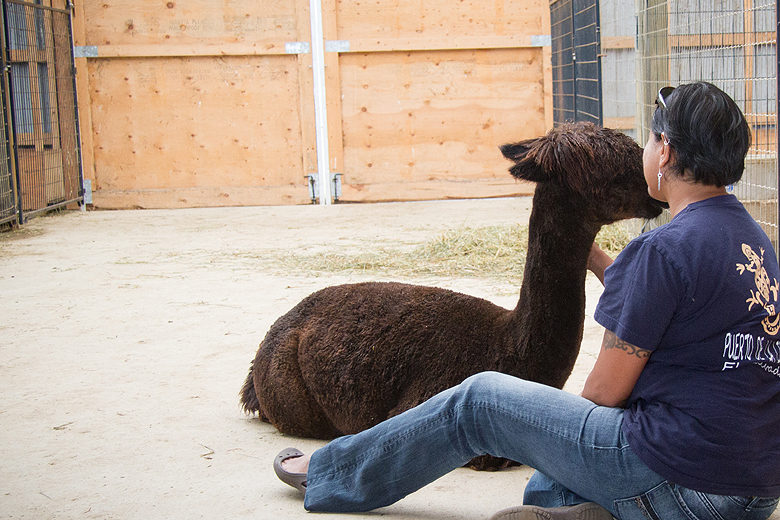 i JUST LOVE ALPACAS TOO! I have seen them in England and am trying to get our friendly farmer down the road to have them too1 knitting in alpaca is so lovely and soft! I am going to do your scalf! stating tonight!